Karla received her Bachelor’s in Science with a major in Health Education and Nutrition from California State University of Northridge. 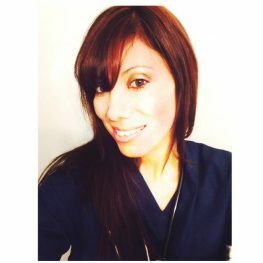 After graduating she worked as a school nurse in Orange County, it was this experienced working with children that helped her decide to pursue medical degree. She attended Saint James School of Medicine and moved to Chicago to complete her clinical rotations. During the completion of her medical education she also worked as an Ophthalmology technician at one of the top retina specialist facilities. Karla’s eagerness and commitment to further her education led her to completing an MPH degree with two certificates in Epidemiology and Healthcare Management and Policies from Benedictine University, Chicago. She completed research on the topic of HPV vaccine Gardasil which has been lagging acceptance and usage in the United States among college students. She has volunteered at Saint Joseph’s hospital annual health fairs and this year she participated as organizing committee member for International Society of Oncology and Biomarkers (ISOBM) 2016 which was held in Chicago. Karla has many inspiring qualities that can be an asset in public health, research and the medical field. She has demonstrated dedication, compassion and humility but most of all her kindness and drive to help others.